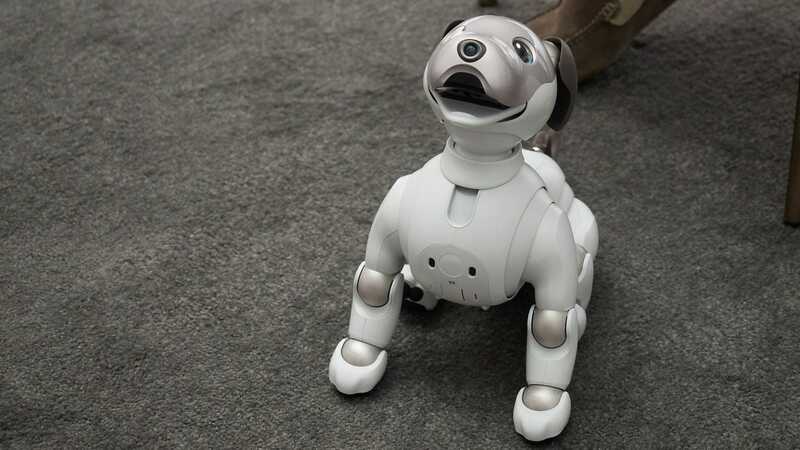 First Sony killed Aibo, the little dumb robot dog. Then, like a phoenix, Aibo rose from the ashes, new and improved, with LED eyes and a soft little back. This good boy, who went on pre-order in Japan last year for 198,000 Yen ( £1,300), will go on sale on Thursday, January 11. In Japan. It is a cruel fate to live so far from Aibo, whose dorky little yips warm the heart with their robotic inflection. Aibo is on display in the Sony booth here at CES. In fact there are two Aibo pups on display in a roped off area tucked away from the rest of the booth. 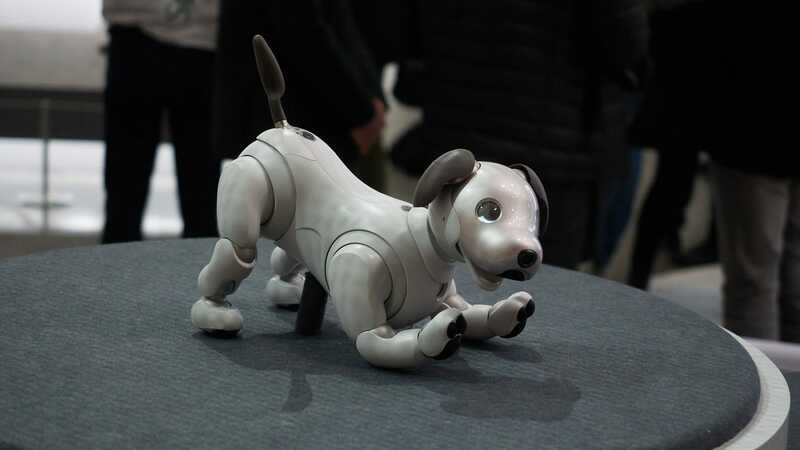 You are not allowed to touch them, and when you try to reach over the cordoned off area to touch them you will get a stern look (from Aibo’s handlers, who get to spend their CES in the most blissful way possible—petting Aibo for eight hours a day). This dog, like it’s predecessor, is a little slow. He moves like a robot, not like a real dog. Turning requires sad scoots, and leaping is out of the question. Like a real pup Aibo is best at ignoring those it should listen to, and seems to get distracted often, staring at the winningest smile in its view. And let me tell you somthing. When Aibo looked up at me and yipped, that tiny tail wagging mechanically on its rump, my heart was warmed. 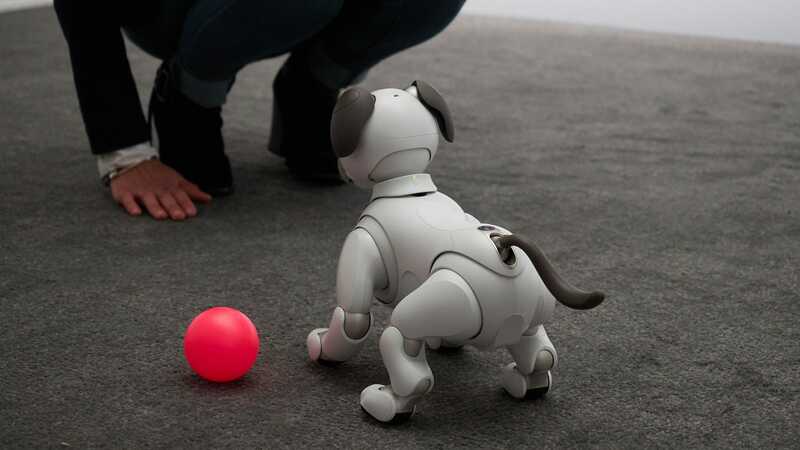 I didn’t care how dumb Aibo seems to be, or how expensive the dog is (about £1,300 with current exchange rates). I want to play with this dog. And maybe I will! “Is Aibo Japan only?” I asked a Sony represenattive. “For now,” she said, so coyly I could hear the US release date on her tongue. 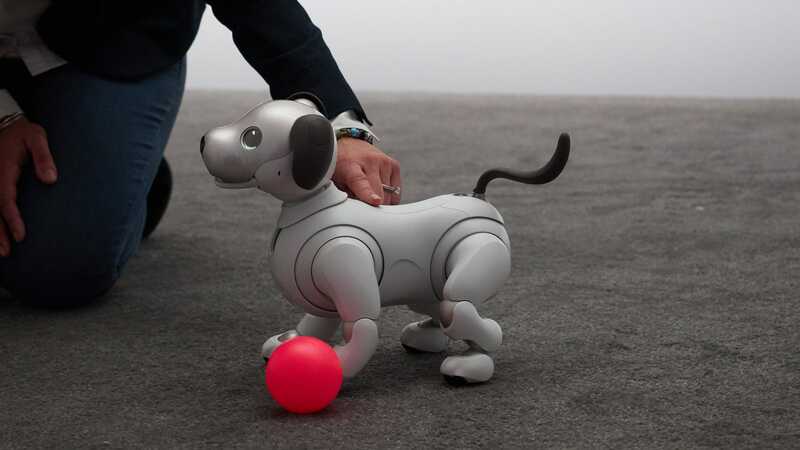 Sony has not actually announced a release date for Aibo outside of Japan, but one can still hope.